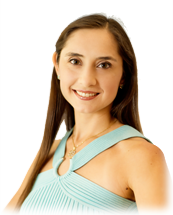 Gadar Oriental Medicine recommends Pilates Personal Training with Christina Maria Gadar. Christina has the distinction of having been trained and certified directly under Joseph Pilates’ protégé Romana Kryzanowska. She has specialized in personalized instruction on the original Pilates equipment since 2000. I am so thankful to have found a form of medicine that has no adverse side effects and to have a doctor that is willing to take the time to talk with me about all my health concerns and do his best to improve my health. I recommend him to all my friends and family and have heard nothing but praise for his treatment. I am so grateful to have experienced his expertise! I am so thankful to have found a form of medicine that has no adverse side effects and to have a doctor that is willing to take the time to talk with me about all my health concerns and do his best to improve my health. I recommend him to all my friends and family and have heard nothing but praise for his treatment. I am so grateful to have experienced his expertise! -Lauren S.
My experience working with Filipp Gadar was nothing but positive. I injured my neck a few months ago which aggravated an existing bulging disc. I am virtually pain free and I attribute my successful healing to weekly sessions with Filipp. He used several modalities to treat my injury. I've been to other acupuncturists and no other has been as thorough, competent, or caring as Filipp Gadar. Thank you! My experience working with Filipp Gadar was nothing but positive. I injured my neck a few months ago which aggravated an existing bulging disc. I am virtually pain free and I attribute my successful healing to weekly sessions with Filipp. He used several modalities to treat my injury. I've been to other acupuncturists and no other has been as thorough, competent, or caring as Filipp Gadar. Thank you! -Teresa K.
I started with a localized pain which several acupuncture treatments relieved so effectively. Now with regular monthly maintenance treatments every other week, I can manage and minimize my stress related discomfort along with maintaining an overall good feeling of well being and energy. I started with a localized pain which several acupuncture treatments relieved so effectively. Now with regular monthly maintenance treatments every other week, I can manage and minimize my stress related discomfort along with maintaining an overall good feeling of well being and energy. -Nancy S.
After having Filipp bring me back from a ruptured Achilles tendon two years ago, and helping me get through a fractured femur last summer, I can only sing praises to his skill and insightful way of balancing the acupuncture and SCENAR Therapy to get amazing results! After having Filipp bring me back from a ruptured Achilles tendon two years ago, and helping me get through a fractured femur last summer, I can only sing praises to his skill and insightful way of balancing the acupuncture and SCENAR Therapy to get amazing results! -Kathy D.
After a bladder ultrasound and cystoscopy failed to explain the blood in my urine, my doctors told me to not worry and just recheck my urine every year. I was still concerned, but was out of options with Western Medicine. After a month of treatments with Filipp Gadar the blood was no longer in my urine. Filipp was also able to help with a long term problem that I was having with my elbow. It does take a little longer and requires a time commitment but it works without side effects or medicine and it can sometimes fix things that Western medical doctors don't even understand. I was pleasantly surprised and happy. After a bladder ultrasound and cystoscopy failed to explain the blood in my urine, my doctors told me to not worry and just recheck my urine every year. I was still concerned, but was out of options with Western Medicine. After a month of treatments with Filipp Gadar the blood was no longer in my urine. Filipp was also able to help with a long term problem that I was having with my elbow. It does take a little longer and requires a time commitment but it works without side effects or medicine and it can sometimes fix things that Western medical doctors don't even understand. I was pleasantly surprised and happy. -Michelle C.
I have been a patient of Filipp Gadar for the past five years. Since that time he has treated my asthma, allergies, migraines, shoulder and neck pain from a muscular tear, and I also received treatments for grieving after my parents passed away. Treatments were always successful for my conditions. I would recommend Filipp to anyone. He is a true professional.